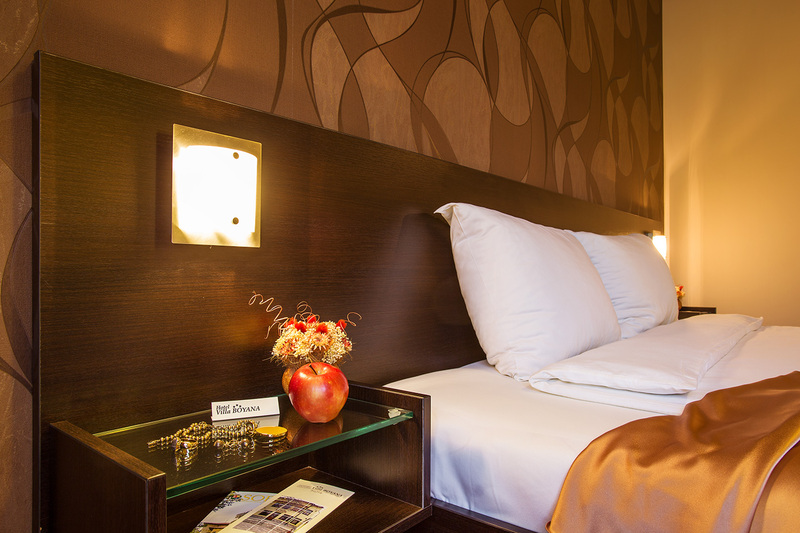 The Villa Boyana Hotel offers you accommodation in double rooms with double beds. They are a great choice for a couple wishing to spend several days in a romantic solitude as well as for those travelling on business. The design of the interior of all the rooms includes a bedroom area and a cozy corner for relaxation with a table and chairs. The colors are soft, delicate, with discreet red and Bordeaux hues. The whole atmosphere is conducive to sharing unforgettable moments with the loved one. In some of the rooms there is a separate study to the bedroom. The window panes are low-emission and sound proof, the thick curtains will separate you from the rest of the world, and the hotel staff will ensure an unforgettable stay for you. 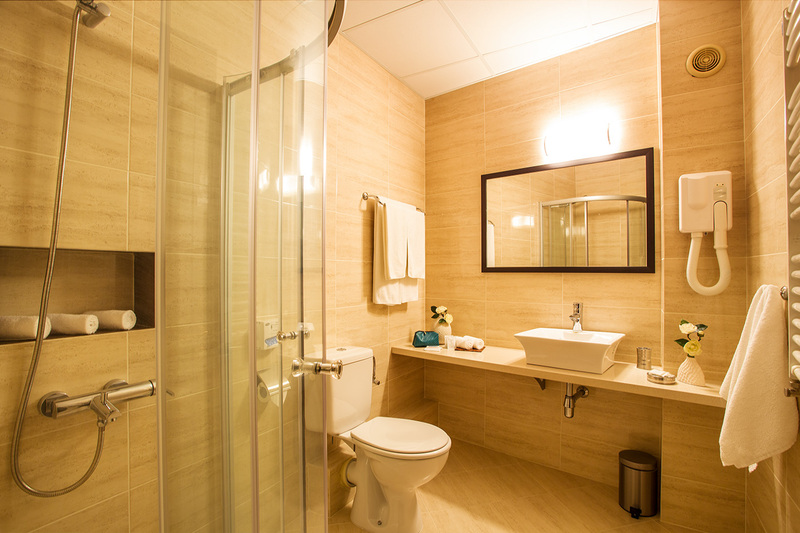 The bathrooms are with modern fixtures and toiletries and very comfortable. You can access high-speed internet everywhere. Of course, furniture includes LCD TV, DVD and mini bar.